1. Customer are required to provide their opening, operating and customer’s management account /or the securities margin account /or futures account (collectively the “account”) from time to time to DA. Also, personal data for customer transactions from DA services are required to provide to and personal data for customer transactions from DA. Failure to provide such information may result in the inability of DA to open, operate and manage the account or unable to trade on the account. b. On behalf of the client to buy, invest or sell securities and / or futures contracts and conduct general transactions relating to all types of securities and / or futures contracts trade. c. Conduct and provide any other person’s credit investigation or inquiry with respect to the client to verify the client’s financial situation and investment objectives. f. Collection of amount due, enforcement of security, charge or other rights and interests in favor of any member of DA group. g. Conduct, research, launch, marketing existing and future services or products of any member of DA group. h. When request or instructions of executing agency, government agency of any member of DA group. j. Composition records of DA employees and who may pass the data. k. Relevant or incidental to the general business operations of DA group and / or any group members or any other purpose of any of the above. a. A third party who is employed by DA and / or any group member who advises customers to provide administrative, data processing, finance, telecommunications, computer, payment, securities and / or futures in the opening, operation and management of the account contract transaction / settlement, professional or other related services. b. Any person who is committed to the confidentiality of the data provided by the customers by DA, including any group of members who are committed to the duty of confidentiality of the information for the reasons described in paragraph two. c. Any customer agent who registers the securities or assets of the customer. d. Any assignee, transferee, participant, sub-participant, delegate, successor or person to whom customer accounts is/are transferred. e. A financial institution that offers a transaction or has a deal with a customer. f. Any person who obtains a clear or implied license for the data object. g. Any person (the disclosure of information is advantaged to DA). h. Any person (the disclosure of information is advantaged to public). i. Any person who provides services under the operation of the normal securities and futures business. j. DA and any group members of auditors or legal advisers. 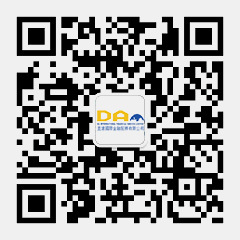 k. Credit investigation company and (if customers fails to perform payment obligations to DA and / or any group member). l. Any person who requires DA and / or any member of the group to provide customer’s data to produce a customer license. a. To inquire whether DA have the customer’s data and accesses the data. b. Require DA to correct any inaccurate information. c. To inquire the policies and practices of DA to customer data and understand the types of such data. 5. Under <Personal Data (Privacy) Ordinance>, DA may charge a reasonable fee for processing such data request. 6. If the customer or customer authorizes the personal data provided by others on behalf of the personal data is misleading, DA or any group members will not be held responsible. 7. 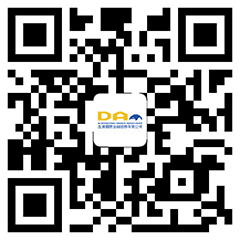 Customer may request any data and correct data from DA Room 1408, Gloucester Road, Wan Chai, Hong Kong. 8. Customer should notice that DA and any group members shall cease the use of the customer personal detail for any reasons describe in paragraph two at the customer’s request without charge. DA and any group members are required to cease the use of the customer’s personal data.